Bringing fresh seafood from the ocean to Saratoga Springs! Fish at 30 Lake isn't just an average seafood restaurant, they're a gourmet "Ocean to Table" restaurant. With a strong dedication to freshness, their specialty is bringing seafood right from the ocean to your table at their Saratoga establishment. The dinner menu features a wide selection of starters, salads, seafood dishes, "no gills" entrees, and desserts. In addition to the fresh food, the restaurant has an a la carte raw bar and offers a variety of inspired handcrafted cocktails. During Happy Hour at Fish at 30 Lake, you can hang out in the bar area and check out the Chef's selection Happy Hour menu items and dollar oysters while they last! 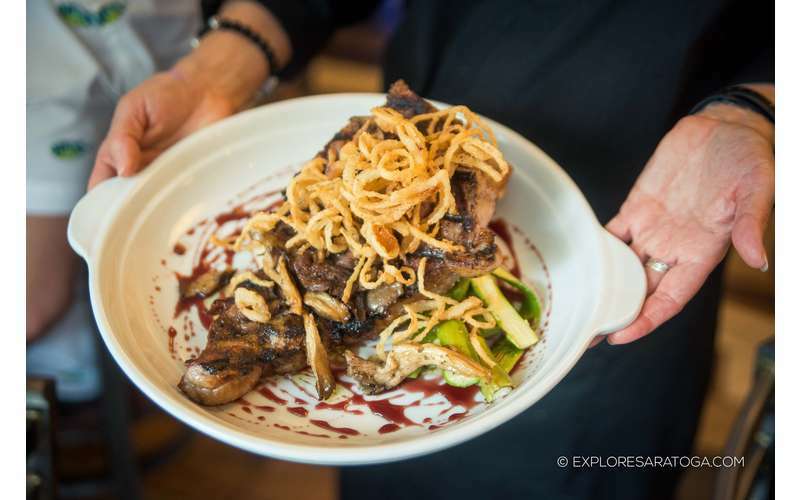 The restaurant is a short walk away from Broadway in the heart of downtown Saratoga. Customers can enjoy a casual and comfortable dining experience either inside Fish at 30 Lake or outside on the patio. Visit our website today for more details!